Mel Ramos is an American Pop artist best known for his female nudes painted alongside brand logos. The artist’s coupling of women with familiar products like martini glasses and bananas serves as a commentary on the ways in which capitalism has employed the female body. 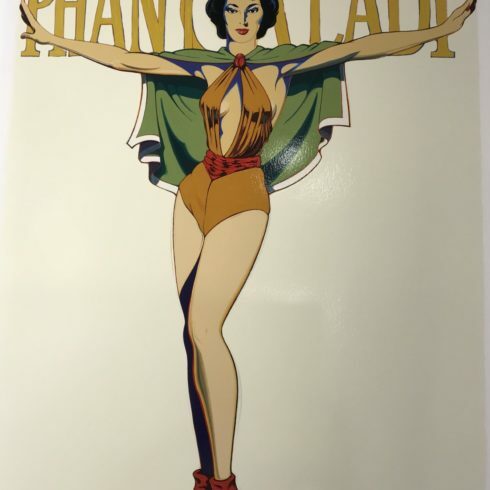 Our Fine Art Gallery has the finest quality Mel Ramos original prints, screenprints and serigraphs. We have a large inventory available off-site and we encourage you to make an appointment to see specific works you are looking to collect. We are happy to meet you at either our art gallery showroom or at your home or office for a private presentation. Pop Artist Mel Ramos was born July 24, 1935 in Sacramento, California. Mel Ramos is most noted for his pop art paintings and prints of superheroes like Batman and Superman, as well as his artworks of voluptuous female nudes.